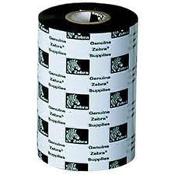 Get quality, durable results from genuine Zebra ribbons and USA Imaging Supplies. High-performance wax ribbon formulated to print at up to 8 inches (20.3 mm) per second on uncoated and coated paper materials. Provides minimal resistance to scratches, smearing and chemicals. UL/cUL & CSA recognized with select Zebra materials. If you have any questions or hesitations please Call us at 619-684-5241.